I agree completely! especially the quote from worldchanging site. 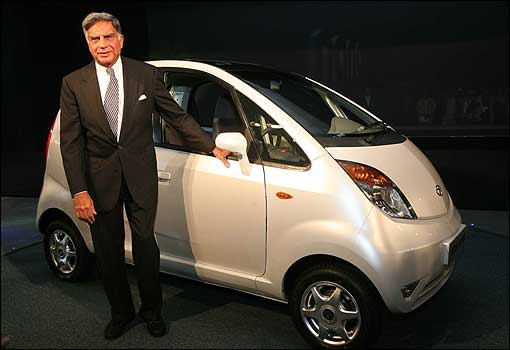 Ratan Tata is in a class of his own. He can do the impossible. 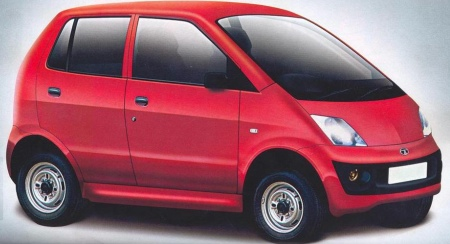 I especially love reading stories of the “new” small cars that are about to enter the circuit—from India and abroad. But yes, sadly, traffic is a problem. Especially in small towns because here the roads are terrible. And the traffic system is so bad that the people take hours to reach places. Forget a metro rail facility here. And most of the buyers will be from small towns. That way, lots need to be done there! @puresunshine: The roads might not be world standard, but even in the B cities, they are there, and cars would be much safer in those bad roads than bikes and scooters. One problem in smaller cities is that traffic is just crazy, much more than Bangalore or Calcutta, and its better to be in a car. Even in smaller cities, its only the city center that has traffic, which is pretty much expected. As you get away from the city center, things improve quite quickly. hmmm. well ya maybe. But at least a bike can try to find a way through. Anyway, if you”re planning a country outing, a big nice SUV would anyday be the pick! @puresunshine: A bike can find its way around, but then, in a lot of cases, that is what is precisely dangerous. In our bid to find our way around, we do irreparable damage to the traffic around us. It has definitely made India Proud! ..
@amit: Yes, wonder what Jaguar and Land Rover are thinking now! He should try to sell this cars at the Philippines because this will make the masses afford a family car. about P100000, close to the price of a motorcycle in the Philippines. i was not so sure abt this until the display. now i guess it is probably one of those things i would buy(when i have money). given the traffic n auto fare, this is a good buy. for tht kinda money, its way too good. like someone said, Ratanji has a class of his own. @cmc6614: Yes, I think it is compatible with Bharat III and can be made compatible with Euro IV. I am not sure why the government will prevent it from hitting the roads. @shuz: Yes, we’ll know more when it comes out, but I do think that it has potential to change the way people think about cars.